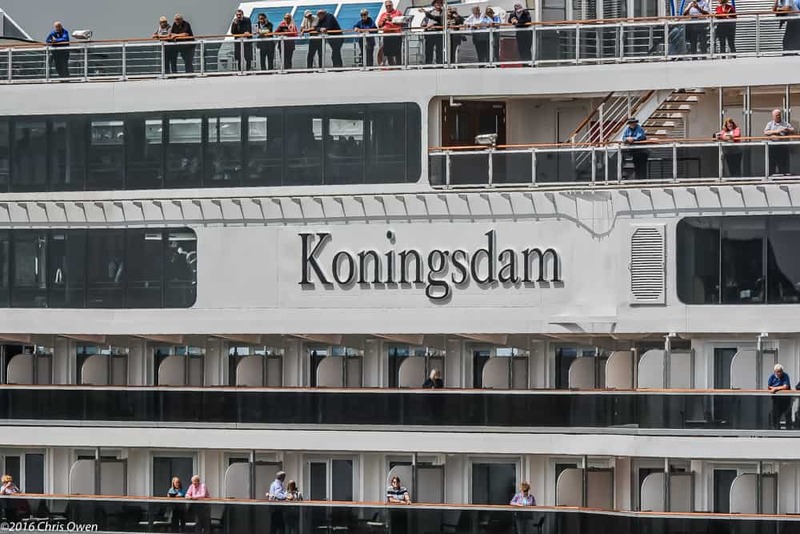 Holland America Line’s new ms Koningsdam looks to be one of the most interesting new big ships in recent memory, but not for reasons one might expect. A number of new ships have debuted recently, all presenting the best of what their respective cruise lines have to offer. It’s a theme that seems consistent with most major cruise lines: more of the (exciting) same and an attraction or two that is new and specific to that particular ship. These are the hot new rides that fans of those cruise lines want to sail. After sailing the world for nearly 150 years, Holland America Line is sailing in a different direction with the first Koningsdam Caribbean season. We start with a topic of ships that usually comes up much further down the line: Art. A dramatic departure from the past where hallway art has brought historic photographs of past Holland America ships and scenes from where they have sailed, art on Koningsdam is less timeless and more relevant. Art extends beyond the walls too, with a number of works smak dab in the middle of high traffic areas where guests are sure to see them. The placement of art on Koningsdam can absolutely be counted as a recurring element of the onboard experience choreography, something that plays a huge and appropriate role on this ship.